A former postdoc at the University of Pittsburgh has admitted to committing research misconduct in published papers and in National Institutes of Health (NIH) grant applications. falsified and/or fabricated quantitative real-time polymerase chain reaction (qPCR) data to demonstrate a statistically significant or “trend” of statistical difference in the expression of renal or bladder urothelium and muscle developmental markers between control and experimental (mutant) mice, when there was none. The false data were reported in a 2015 paper in the American Journal of Physiology: Renal Physiology, “Fgfr2 is integral for bladder mesenchyme patterning and function,” and a 2013 paper in PLOS ONE, “Deletion of Fibroblast Growth Factor Receptor 2 from the Peri-Wolffian Duct Stroma Leads to Ureteric Induction Abnormalities and Vesicoureteral Reflux.” Another manuscript submitted to PLOS ONE, and two grant applications, also included the false data. The 2013 paper has been cited seven times, while the 2015 paper has yet to be cited, according to Thomson Reuters Web of Science. Walker agreed to correct or retract the two papers, and to have any NIH-funded research supervised for three years. He also can’t serve on any NIH committees, including peer review committees, for the same period of time. 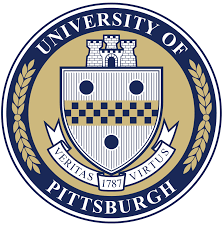 The ORI finding, Pitt’s second in two years, is the first announcement by the agency of a closed case since December 9 of last year. The ORI averages about a dozen such announcements per year. Our policy, which complies with federal laws and regulations, mandates that the University protect the confidentiality of all involved in investigations of alleged misconduct. Proceedings of our investigations are disclosed only as required by regulation, contractual obligation, or law. For this reason, the University is unable to comment on research integrity cases, and I must abide by that policy. Wow! I wonder why more junior researchers don’t fake data to get published, if the only consequences are supervision (that worked so well!) and freedom from serving on time-consuming committees! In theory this is true, however in this case “Kenneth Walker” returns a whole bunch of hits for other people by that name (an author, a murdered Catholic priest, and others). “Kenneth Walker” Pittsburgh does bring up the ORI case summary but only halfway down the first page. Retraction Watch is at the bottom of the 2nd page. And this is right now – in time, those hits will probably go further down. For the moment any potential employer will likely obtain the details from his referees or else he is going to have to think of a reason not to have any from Pittsburgh. They will probably ask someone anyway. Academia can be a rather small world. In addition, the correction or retraction in the journals often contain summary details for a research finding, including the name of the person found responsible. One of the difficulties however, is that these corrections or retractions are not strongly linked to the original publication such that researchers find the original publication but not the subsequent correction. If the scientific research community comes together to consider issues such as this, and then moves towards an expectation for stronger consequences for research misconduct, policies and procedures followed by Federal agencies that fund such research may be revisited and revised. Perspective across the range of cases, as Dr. Price has garnered, shows that a range of possible sanctions may be best. In the last several years ORI has had -but appears to seldom use- an effective way to alert the research community to papers that should be retracted as a result of a PHS research misconduct finding. Specifically, during the course of a routine PubMed search, a “Comment” link may appear below the abstract of a paper. ‘Clicking’ on that link redirects the marginally curious to the NIH Guide for Grants and Contracts, and from thence to the Federal Register Notice describing the specific and technical details of the experiments. Significantly, the publication did not have to be retracted for this alert system to be implemented. The NLM/NIH did specify two conditions for inserting the “Comment” link into the results of the PubMed search. First, in its crafting of the Federal Register Notice, ORI had to specify either that the paper had been recommended for retraction (or had been retracted) as a result of the investigation. Second, if ORI did not want to stick its neck out on that issue, then it had to at least report in the FRN that the institution had recommended retraction.